It’s time to return the romance and melodrama section of the Great Movies – 100 Years of Film book, and the title under examination time is the 1935 Greta Garbo classic based on the epic novel by Leo Tolstoy. 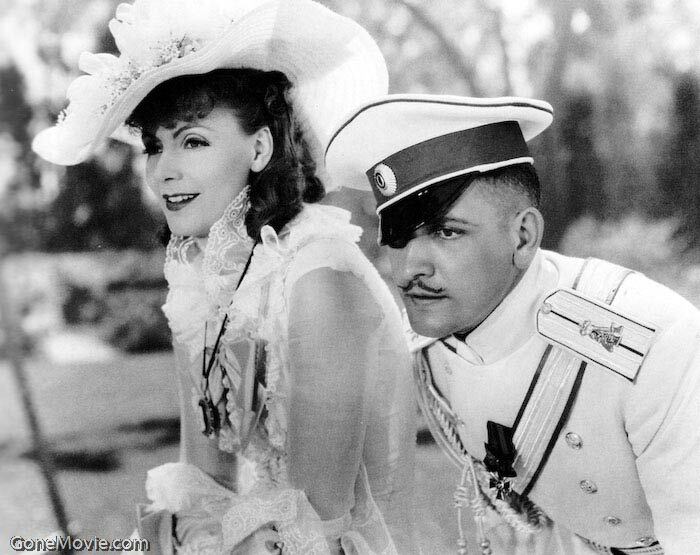 Garbo is the titular Anna in 19th century St. Petersburg. 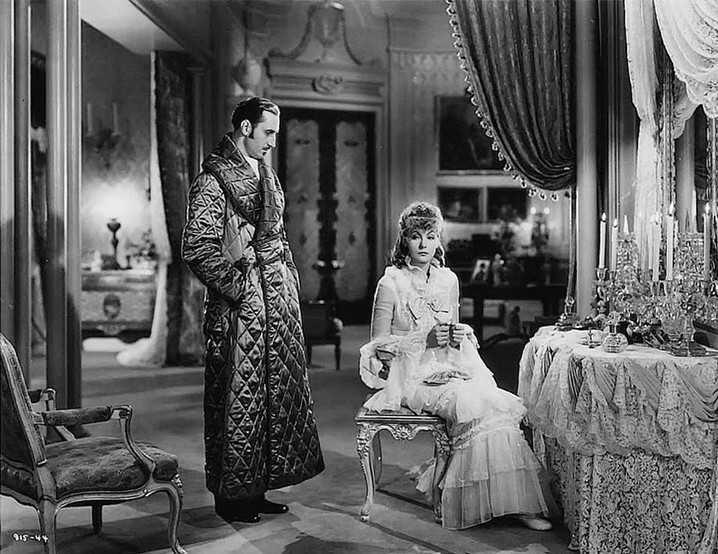 Her husband, Karenin is played by Basil Rathbone, a man more concerned with his image and propriety than with any emotional connection with his wife. Ironically, despite her loveless marriage, she travels to Moscow to see her brother, Stiva (Reginald Owen), to tell him to stay with his wife, and to stop being such a philanderer, no matter how charming he seems to be. Upon her arrival, she meets Frederic March’s Captain Vronsky and there is an immediate connection, despite the fact that she is married, and adores her young son, Sergei (Freddie Bartholomew). The two encounter one another on the dance floor, and under the jealous eye of Kitty (Maureen O’Sullivan) begin to fall for one another. Anna returns to St. Petersburg, pursued by Vronsky, who despite being a bit of a cad, drinker and womanizer, seems to have fallen for her in a huge way. Anna doesn’t agree to his demands and Vronsky blatantly ignores the suggestion of his CO. She demands a divorce as the flames of passion erupt around her and Vronsky. It’s romantic, but as we know, things like this never end well. In fact it’s hinted at almost from the start of the film, as trains are both a symbol and a danger throughout the course of the story, and brings about a tragic end to Anna, when Vronsky tires of her, and begins another dalliance. I rather like this film, and I like when stories don’t have to go with a Hollywood ending, and can embrace it’s tragedy and darkness. Garbo seems perfectly suited for the role, and the camera loves her. She is aloof, but appealing all at once, and with a supporting cast in the form of Rathbone and March, she has a great team to work with. It’s a wonderful film, and the original book lends itself quite well to this adaptation, and not overly long, clocking in at just over 90 minutes. It just works, and is lovely to watch, filled with gorgeous designs, sets and costumes. While not always my favorite of genres, the best films transcend it, and make themselves enjoyable, even 80 years on. I’m looking forward to digging into the supporting titles to see what they bring me. What’s your favorite version of this story?